While I’m on the topic of MSLN anyway… Yukarin’s My wish, My love is really nice. There’s just something soft, peaceful, and flowing about the song. 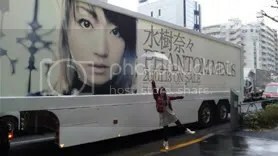 Eh… I just read Nana-san’s updated blog post (January 24). It still bugs me to no end that I can’t embed NicoNico Videos… But here’s the link. Why yes, I wasted spent 14 minutes and 29 seconds of my life watching that. 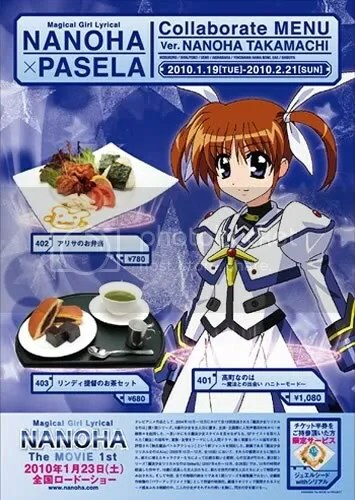 It’s the 週刊トロ・ステーション featuring Mahou Shoujo Lyrical Nanoha this week. The long awaited talk about Kouhaku has arrived! This was announced back on January 5 but now we have pictures! That said, here is this week’s Smile-Gang (which aired on her birthday!). I almost got tricked by the beginning. It’s the exact same opening as last week! But yes, despite this being the second broadcast in 2010, it was recorded in 2009. And here I was, hoping to hear Nana-san talk about Kouhaku. Ah well… At least we found out something interesting about Nana-san. Apparently, for Nana-san’s debut song), she did not get a single yen out of it. ^^;; Whatever sales made went to cover expenses. Eh… I actually don’t really know what to say to that. …Anyway, back to school tomorrow. ;_; I don’t want to go…. 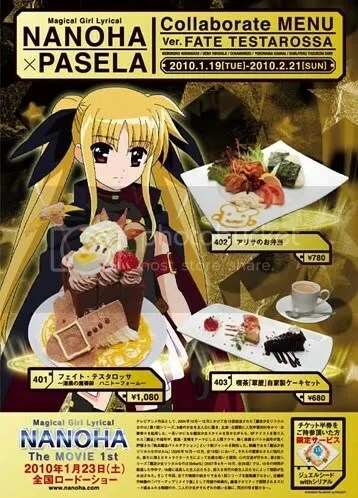 And completely unrelated, but I read this Mizuki Nana interview with regards Mahou Shoujo Lyrical Nanoha Movie 1st today, and I find myself falling in love with the series all over again. :3 (More on that when I get all the stuff I need to get done out of the way). To think PHANTOM MINDS (320kpbs) has been leaked already… My copy isn’t even going to shipped out until 4 days from now! What I found interesting… Don’t be long is the only song where Cherry Boys are on the instruments. I suppose it makes sense though. Yabuki Toshiro composed, arranged and wrote the lyrics for the song after all.